Trajko, baba mu Agna i pešes' vanzemunca, 2013. 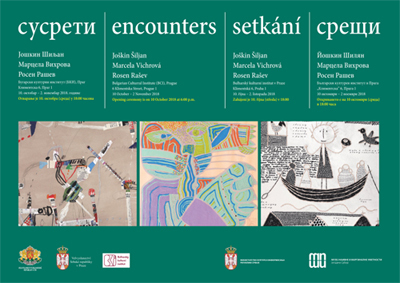 The exhibition Encounters 2018 is a result of cooperation between MNMA and Bulgarian Cultural Institute (BCI) in Prague, aimed at promotion of nonconventional pictorial phenomena and artists. 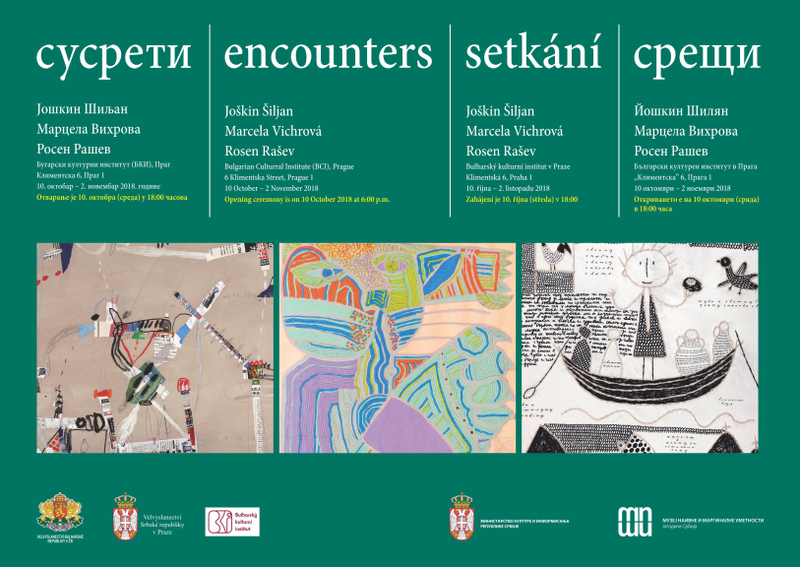 This time, three artists, Joškin Šiljan, from Serbia, Marcela Vichrova from Czech Republic and Rosen Rashev from Bulgaria get together at the intersection of the vital points of their artistic achievements. The portraits of artists, given through separate pictorial oeuvres include the selection of works in MNMA collection and the artists’ private property (M. Vichrova). 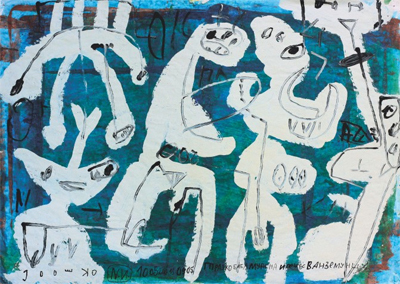 The exhibition includes paintings in combined technique on canvas, cardboard and paper, done in different periods of the authors’ “phases”. The works present authentic visions, which, in spite of their differences in formal aspect have certain analogies, in both pictorial sense and contents. 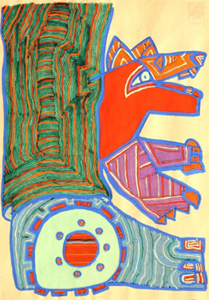 The basic element in all these artworks is drawing as a primary medium of pictorial expression. Drawing is present here as a means and model of composing. It reveals essential distinctions in their pictorial languages and other characteristics of their artistic temperaments. 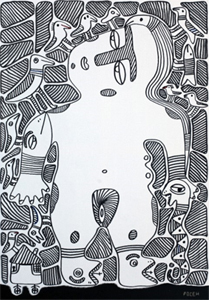 Different in idea and style, the artworks of Joškin Šiljan. Marcela Vichrova and Rosen Rashev correspond to the bases whose origins should be searched in the spheres beyond the objectively realistic. Authors of texts in the Catalogue: Ivana Jovanović, MNMA senior curator and Nina Ljubomirović, MNMA curator. Poseta Berlinu: Mačka na Potsdamskom trgu, 2013.